Without links, there is no net. Links are the essence of a new remix culture. It is how you show that you respect someone's work and efforts. It is also indicative that you are part of a community. Let me know in case a link doesn't work. Thanks! The makers of Pro Tools 10. I love my Eleven Rack! A blues and blues-rock publication. RØDE – easy handling, great sound. Blues und Folk, a non-commercial local radio station based in Hamburg. A Country music online magazine in German language. Rockin' Therapy Radio is an online 24-hour radio. It's all about Rockin'! From its roots till modern sound of Rockabilly, Psychobilly, Surf, Voodoobilly, Country, Western, Swing, Death Country and much more. 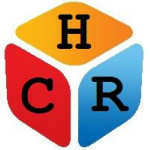 CMR Nashville Radio, Europe's #1 country music radio station. The Magazine of Country Music is considered "Country Music Hall of Fame's Oldest Country Publication" and published online here. Hall of Fame Music Radio... Where all the great songs have gone! Blues 247 - an online blues radio station broadcasting blues music around the world 24/7. Whatever your taste in blues you will find it here. Country Music News International, the place where you find country music news, interviews, CD reviews and much more in German and English. Not-for-profit media productions and virtual open stage via webcasting! Stichting MUTAZE is Muziek-Talentpromotie-Zeeland, a Dutch foundation to promote musical talents. Earbits offers handpicked independent music, curated by a team of music experts. You won't find the usual mainstream stuff here, but if you're ready for real music discovery Earbits is the place for you. 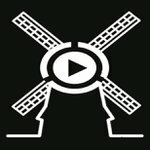 Holland Country Radio - a great mix of classic and new Country.